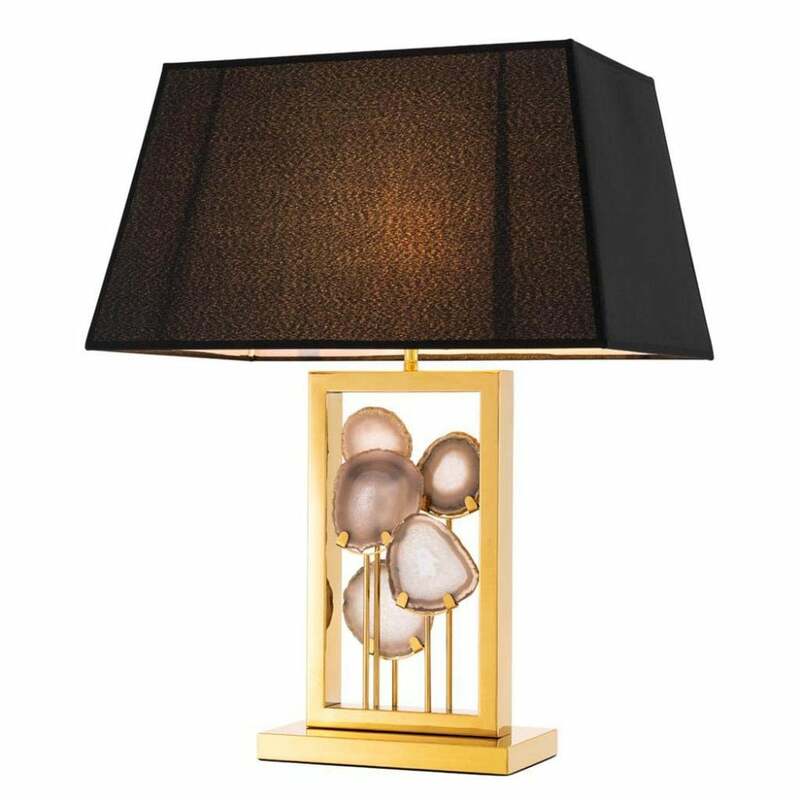 This table lamp showcases the natural beauty of agate stone creating warmth and ambience within any home interior. The on-trend agate is encased within a radiant gold frame adding a luxurious touch to this stylish design. Style the Margiela Table Lamp as a pair either side of a sofa or within a bedroom for ultimate impact. Complete with a chocolate coloured shade, this unique design presents a reinterpretation of a classic antique. Synonmous with Eichholtz's design philiosophy, their is always a signature modern twist. Please note: bulb not included.